To pee or not to pee: National Trust say “do it”! Found this interesting piece on the Live for Gardening website earlier today. The National Trust have installed a ‘pee bale’ alongside their Composters at Wimpole Hall in Cambridgeshire and the head gardner suggests male employees should relieve themselves here when the urge occurs. The pee bale then gets added to the composter every now and then as an accelerator to speed the process up. Urine has for a long time been master composters’ secret weapon – it really does work. 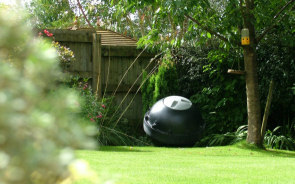 But if you’d rather not, have a look at some organic compost maker (accelerator) or Bokashi Bran instead! 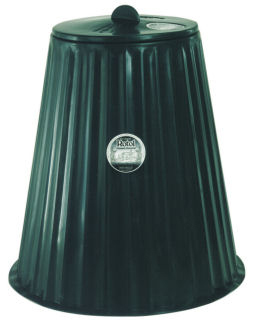 So Liam pops his head round the door and suggests I should write a blog about Bokashi composting. A fairly reasonable and straightforward request you might think – but it took me on a winding journey back through a bit of family and world history to achieve the simple result asked of me. My Uncle Dennis died 7 years ago and my father 4 years later. Although brothers they were very different people. They did however share a steadfast set of values and moral beliefs summed up in the words, honesty, decency, duty, fairness and integrity. Like many sincere, caring and intelligent people both were what used to be called ‘left of centre’ politically and both served their country and more during the Second World War. My father was a pilot and navigator with the RAF serving in coastal and bomber commands during the war and moving on to organisational development and officer training roles from 45 to 58. My uncle served with the British army and their allies in Burma and along with too many thousands of others was captured and imprisoned by the Japanese. Of every 100 air crew officers who signed up along with my father in 1938 of those in bomber command less than 38 saw VE day. A Bomber Command crew member had a worse chance of survival than an infantry officer in World War I. I believe this experience seriously affected my father’s life thereafter – he had few close friends for the rest of his life and you don’t need a PhD in Psychology to see why. These remarkably brave men were, of course, engaged in major purposeful aggressive action against the Axis powers. What then of the C. 30% of prisoners of war (by definition non combatants ) who did not come through the terrible treatment and appalling conditions of brutality, barbarism, torture and starvation imposed by their captors in the far East not to mention the illness, shortened lives and trauma for the survivors. For Dennis his eyesight was badly damaged, Malaria recurred and the hidden damage was there for all not to see (if you follow) for the rest of his life. So from very different wartime experiences both brothers, no doubt like thousands upon thousands of others ‘chose’ the quiet, stoical, and perhaps somewhat isolating approach of internalising their experiences and of rarely discussing them even with, or perhaps particularly with close family. It was indeed at rare, unusual yet revealing and enlightening moments when I could share a brief but deep discussion about the war with my father. When Dennis and his comrades were finally liberated in 1945 it was 11 months until he returned home to his wife. Many of the liberated prisoners were so ill, emaciated and weak that it was judged bad for civilian morale for them to return to the UK and be seen in such a ‘pathetic’ state. They needed serious medical attention and some serious rest and recuperation. So it was Blighty by way of a long stay over with our Canadian allies for thousands too ill and no doubt disinclined to complain. Now, perhaps understandably all this lead to many survivors and their families having less than totally forgiving and friendly thoughts towards the defeated Japanese Empire. Although anti German feelings were clearly very strong in those soon after the war years – this has dwindled and changed over the decades that followed. Today any vestiges of enmity tend to be confined to the football field. Germany has changed, faced up to its past; its atrocities and the horrendous doings of Hitler and his band of sadistic, psychopathic fascist thugs. Apologise made and repeated; bridges built; talks talked and walks walked and to their utter credit to deny the holocaust in Germany today is a criminal and imprisonable offence. Possibly for deep historical and cultural reasons well beyond my ken, Japan took a different route. Emperor Hirohito was allowed to remain as titular head of state after the war courtesy of General Mac Arthur and our American friends and there was and some might say still is, an ambivalence about their past. Japanese school history books make less than complete and accurate references to the war and war criminals are still revered by some. Actions and mistakes have perhaps not been squarely faced up to as they have elsewhere. The saying is that history is written by the victors. Whilst in the obvious sense this is true, it is at the same time grossly over simplistic to the risk of obscuring as much as it enlightens. Now, I am far from an expert and the deep and historically rooted cultural traditions of the Japanese peoples are no doubt honourable; and the answer to the conundrum of their post war stance may well be hidden from me within the complexity of anthropology. However in over simplistic terms it was this apparent ambivalence and above all else the lack of an open and totally unequivocal apology for war crimes that meant that during my youth, households in our extended family (and I suspect many others) went decade after decade without a Japanese car, microwave, video or other Japanese made electrical or electronic gismo. Time heals and as the older generations die out (no chrysanthemums in the wreaths) and the newer ones grow up- memories mellow and attitudes change. This is good and right and proper – for we all have to eventually forgive although not for me to forget – that may be for future generations but I hope not, for if we don’t learn from our history we cease to learn anything and if we cease to learn we may just as well cease to be. So this verbose attempt at relevance, succinctness and attempting to follow Basil Fawlty’s advice of not mentioning the war has manifestly failed but it brings me at last to Bokashi bins and composting, a Japanese invention which I am pleased to embrace and to extol the many virtues and benefits thereof. Bokashi is a Japanese word meaning fermented organic matter. 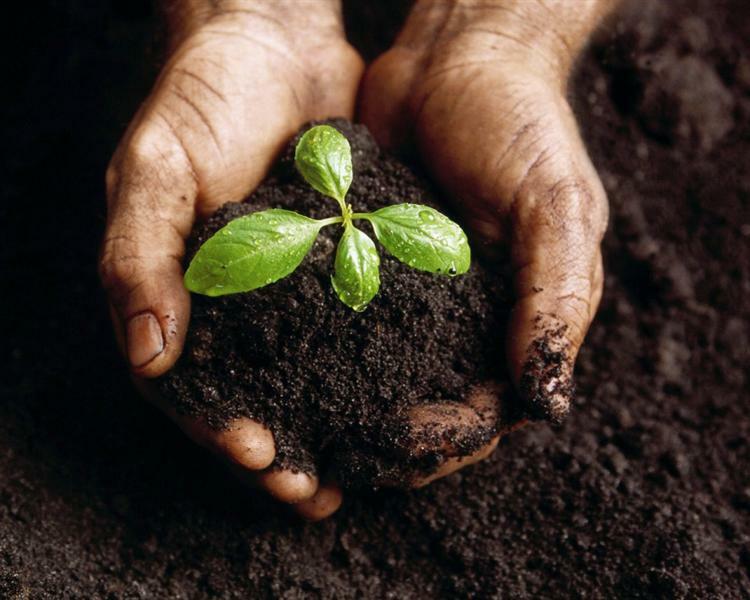 It is a form of intensive composting using a starter culture of effective Microorganisms (EM). The culture is a bit like making Yogurt or a ginger beer plant in that it grows and can be used and reused over and over. It is made by inoculating a suitable medium such as wheat or rice bran (but technically any organic matter from sawdust to beer will work) with EM, water and usually some molasses to speed up the process. Once made this Bokashi mix can be used easily to speed up the fermentation and breakdown of kitchen food waste. The speeded up fermentation should virtually eliminate any risk of unpleasant smell and the waste is ready for the next stage within a few weeks. The next stage is simply to dig it into the garden or add it to your Wormery or garden Composter. The waste doesn’t so much rot or decompose and the product is rather different in appearance than compost. It retains more of its original shape, appearance and structure and looks as though it has been pickled. Garden soil, your Wormery or composter will soon finish the job. Bokashi bins are sealed and have a tap to capture the excellent juice which ids a concentrated plant food in itself. Interestingly if you don’t have mains drainage and rely on a septic tank or similar then Bokashi juice will help maintain a healthy environment and improve its performance. The EM are just natural lactic acid and phototropic bacteria and yeast whish form a microbial community within the food waste to help its rapid processing. All you have to do is intersperse layers off food waste with a sprinkling of the activated bran and nature will do the rest simply and efficiently. Moreover it will deal with cooked waste as well even bits of meat and fish. So it’s a big thank you to the Japanese for devising this remarkable simple, efficient, fascinating and clean form of organic waste recycling. It’s usually exciting here at Original Organics but right now it’s particularly exciting. I am writing this from the hotel bar where we are staying during the GLEE Trade Exhibition at the NEC in Birmingham (yes, another exhibition – more on that later!). It’s a particularly special GLEE because tomorrow we’re launching our brand new product, a brilliant new composter, The CompoSphere. The CompoSphere is really something we think is quite special. We’re into composting here at Original Organics you see. In fact, we think we know a thing or two about composting and The CompoSphere is something that we have had in the making (top secret project!) for a little while – so I’m really happy that it’s ready for launch. We now have the moulds up and running and the first batch we have run have been really quite something. … and, because I would rather get an early night than sit up waiting until midnight to press the button, The CompoSphere is now available to buy on our website (precisely 2 hours and 56 minutes before launch day – shhh don’t tell anyone). So, now it’s even more fun to make your own garden compost! This one almost passed me by! Whilst standing around in a newsagents’ waiting for my fiancée to decide what to buy, I took a browse through this months edition of the BBC Countryfile magazine. 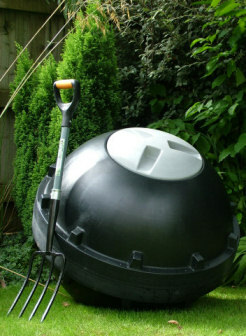 I was delighted to see that the Classic Rotol Compost Convertor was listed as one of the “Top 10 Eco-Buys”! I must admit to being a little surprised that no Wormeries were mentioned, but we can’t have everything can we?